Garage rock, Pop & Psych' - Made in France ! 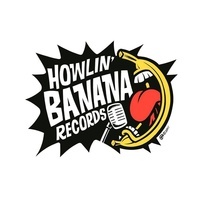 Howlin' Banana is an indie label based in St-Denis, specialised in French releases since 2011, on vinyl, tape, CD and digital. Bands: Kaviar Special, Volage, The Madcaps, Dusty Mush, Gloria, Wild Raccoon, Anna, Sapin, Bootchy Temple, Baston, Th Da Freak, Slift, Brace ! Brace !, Blondi's Salvation, etc.